April Fontenot has lived in Houston for 16 years. She received her Bachelor’s degree in special education and taught in Louisiana for 3 years and in Alief ISD for 2 years. 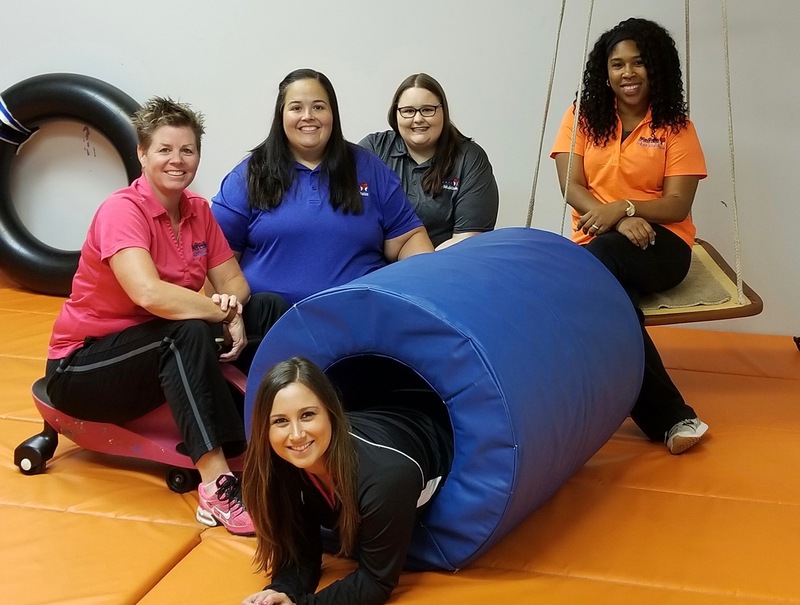 April received her Master’s degree from Texas Woman’s University in Occupational Therapy and has since been employed as an occupational therapist in the Houston and Katy areas. She has experience as an OT in a variety of settings, including school based therapy, clinical and hospital settings including adult and pediatric acute care and rehabilitation settings, as well as long term care and nursing facilities. April’s career path has taken her full circle to return to her first love which is working with differently abled children. Faith Stilen has lived in Richmond for the past 24 years. She graduated from Texas Woman’s University in 2000 in Occupational Therapy, knowing her true love was to specialize in pediatrics. She has since worked in a variety of pediatric settings ranging from the hospital (NICU) to early childhood (ECI) to home health to the private clinic. Faith’s passion in life is to continue helping to improve the lives of children with “dis”abilities, making their lives, and their families’ lives, happier, healthier, and more fulfilling! Katie graduated from Louisiana State University Health Sciences Center, New Orleans with a Masters in Occupational Therapy in 2011. While a graduate student, she received clinical experience in the inpatient, outpatient, and pediatric settings. She has a love for children and has focused her career in pediatrics. Katie has experience working with children with a variety of diagnoses, including autism spectrum disorder, cerebral palsy, down syndrome, ADHD, sensory processing disorders, and other genetic and neurological disorders. Katie is trained in Brain Gym 101, aquatic therapy, and NDT facilitation techniques, sensory integration, Interactive Metronome, Therapeutic Listening, SOS Approach to Feeding, and Kinesiotaping. Madisyn was born and raised in Houston, Texas. Madisyn received her Bachelor’s Degree from Texas A&M University then attended Houston Community College to become a Certified Occupational Therapy Assistant. While pursuing her dream of becoming an occupational therapy practitioner, Madisyn taught competitive dance to children ages 2-18 years old and coached gymnastics classes for special needs children. While a student, she received experience in treating children with various diagnoses in a clinic setting as well as hippotherapy. Madisyn also experienced providing services for adults in an in-patient and out-patient medical facility and hospice care. Madisyn became a pediatric COTA to follow her passion of working with children. Her favorite part of being a COTA is helping children find their independence and love for life! Madisyn will be attending UT Tyler’s Masters of Occupational Therapy program in the fall to pursue her career to become an OTR.